Last time I included this, despite the fact it can't really be considered a gadget. As such, here it is again, a year on. No change from last time, I'm still the happy owner of a 2011 year Volvo C30. Since last year, it has had some minor problems meaning it had to spend a few days back at the dealer getting repaired. That aside however, I have nothing but good things to say about it and I would still recommend it wholeheartedly. Like I said last year, I'd definitely recommend the keyless entry/drive, active bending headlights and most of all, an integrated bluetooth hands-free system. Even leaving aside the obvious convenience, the safety factor alone makes this a worthwhile option. Verdict: 8/10 - Still not the cheapest to run, with the seemingly never-ending fuel price rises and so on, but a great machine regardless. Something to keep another couple of years at least. Once again, there's been no change since last year, as I'm still in contract. I still have my iPhone 4 and still enjoy owning it. It remains one of the better smartphones on the market in my opinion and the battery life is no worse than the day I first turned it on. However... it does have one downside: the materials it is made of. Making a phone out of essentially glass does make it a very nice and solid feeling device, but it does mean that it can get injured. Not something that can be blamed entirely on the phone of course, but something to watch out for. Despite the damage, the screen does still work and the ability to sense touches on the shattered area is unaffected, which came as a bit of a surprise. As the end of the contract draws near, I remain open-minded about what the replacement could be. 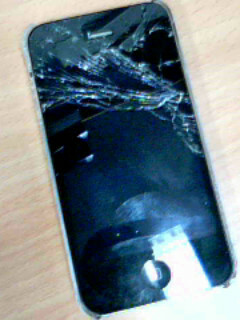 iPhone 4S possibly, although waiting for the subsequent iPhone is probably more sensible. Having said that, an Android 4 powered device is not out of the question, and I remain open-minded about Windows Phone devices as well. I will decide when the time comes later this year. Verdict: 7/10 - nice device, but don't drop it. Keep until contract end. I have tweaked my desktop setup a little bit since last year. I still have my 27" iMac, but have since bought a larger desk and now have a second desktop machine running Ubuntu set up next to it. 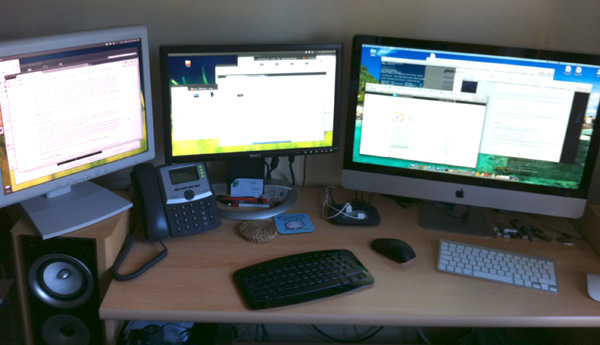 I am still as happy with the iMac as I was last year and still have no plans to change it. Since last year's post, I have no upgraded the RAM so it's still only got the 4GB it came with. This is fine for most things but isn't rally enough to run any VMs sensibly. Now that RAM has come down so much in price, I think this is something I'll do pretty soon. The Ubuntu machine is one cobbled together from various parts I had, including many from the old home server before I replaced it last year. I've had Ubuntu running on my laptop since I bought it and it also powers the server, but I've yet to have it running on a desktop. It's partially an experiment to see how it serves as a "main" machine, and partially because I genuinely wanted an Ubuntu machine to use day-to-day. This machine could really do with a few upgrades (another machine with just 4GB RAM), but these are things I won't bother doing until they make their necessity felt during use. Verdict: 8/10 - I haven't had this setup long as I only bought the desk just before Christmas, but so far the combination of these two machines seems ideal. And not a Windows install in sight. This time last year I noted that I didn't actually own any laptops (besides having use of a work one). 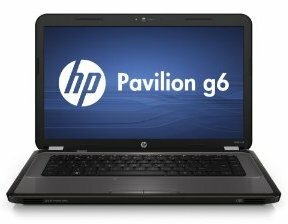 Since then, I've bought myself a cheap HP Pavilion G6. It's quite a low spec, but I only tend to use laptops for lighter work anyway so it does the job fine. It is a bit of a shame it only comes with a first generation Core i3 rather than the newer second gen, but for the price I think that's fair. The only complaint I have with it is that the fan is somewhat rattly, but that's not really the end of the world. Verdict: 7/10 - good enough for me, and has scope for upgrading the RAM and storage if necessary. 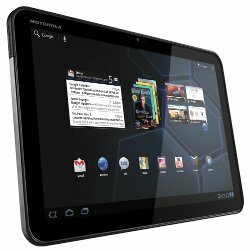 A few months ago I bought myself a Motorola Xoom. Yup, I'm one of the few people who bought one. As a first-time Android owner, I was pleasantly surprised with how Android 3 feels to use - I find the Xoom genuinely useful and it is far better to pull that out when I want to check emails or do a quick Google search than to go through the process of turning on the laptop or of fiddling around on a now-broken iPhone. Having a battery that will last a good few days is a bonus too - no laptop would match that. Verdict: 8/10 - ideal for casual web browsing and other light usage. Android is prone to the occasional crash though. A device which will be kept for probably at least another year. Things have changed here since last year as well. I just got fed up with changing the very tiny and very expensive ink cartridges seemingly every 5 minutes. 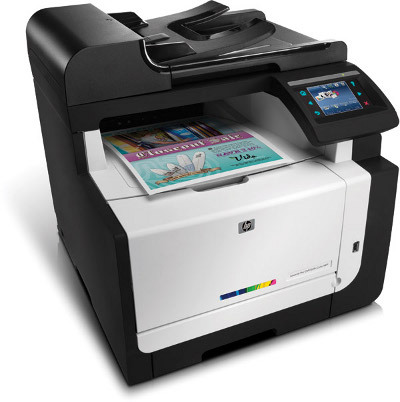 I've now replaced the OfficeJet with an enormous HP LaserJet Pro CM1415fn colour MFP. Just like the old machine, I have the ability to print, scan, fax and copy, but this new machine is a colour laser instead of an inkjet. The consumables are more expensive than the old ones but they will last much longer, so it should work out cheaper to run in the long run. It is also controlled via a small touch-screen rather than a panel of buttons which is pretty nice. This new printer solves the another annoyance I had with the old one - the regular occurrence of it not entering its power-saving mode, necessitating me turning it on and off manually when I wanted to use it. The new one works perfectly in this regard. I am particularly pleased with this printer, as it has a good set of features and is more than robust enough to put up with anything I ask of it. The only feature I would like is duplex printing, but it seems that finding a colour laser MFP with that as well is impossible unless you really want to pay big money for it. As it was, I got this for what I consider a very good price once the £70 cash-back that HP were offering was taken into account. If you buy one though, be careful of your back. It's heavy! Verdict: 8/10 - great value and should be all I need printer-wise for some time. Again, there has been no change here from last year. I still have my Drobo hooked up to the network via a DroboShare unit. Just like last year, I'm very happy with this combination and have no plans to change it in the near future. At the moment I still have a fair bit of space left so probably won't even find myself needing to change the hard drives for a while. Last year I mentioned a slight niggle with the software not always detecting the Drobo on the network. Since then, a new version of the software has been released and if anything, it's now even worse. Also, there's no Linux version of the software which I think is a bit of an oversight these days. Verdict: 8/10 - as before, it's a great bit of kit but the failings of the software need to be addressed before it gets a 9. 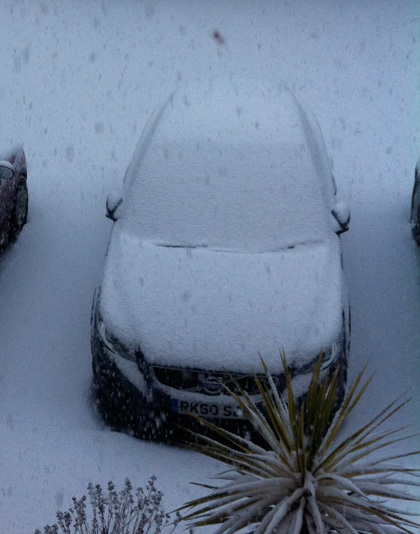 The situation here is unchanged from last year. This role is still handled by my LG DVD player/surround sound system. I still want something which is capable of streaming directly from the Drobo rather than requiring me to copy to USB device first, but it's quite a low priority so probably won't happen just yet. I've managed to ease the burden of copying to USB device by copying many things all at once to a 40GB portable USB hard drive instead of just using flash keys. This works fine, despite the warning in the instructions for the DVD player that state only flash keys can be plugged into the USB socket. Weird, but I'm not complaining. Verdict: 6/10 - still a competent system which does the job fine. Keep for now. As many of you will know, 2011 is the year I looked into monitoring (and reducing) my energy usage. I wrote a series of posts on this, including looking at the monitoring device itself, the Current Cost Envi and also the new lightweight home server I built to replace the large hulking one I had before. Both of these have not put a foot wrong since being turned on for the first time and I'm very happy with how the entire thing has gone. Looking back at the above, I can't help but think I enter 2012 quite a fortunate person to be able to own all these great pieces of tech. As you can see from the verdicts I've given, I don't have a single thing that I don't consider to be good at what it does. I expect 2012 will be a year in which I replace very few (if any) of them, but instead enjoy what I have. Not everyone is as lucky. So over to you... what does your gadget line-up look like as we enter 2012...?